With 70% of malware signatures only seen once, attackers are more sophisticated and evasive than ever before. They're at the top of their game, selecting their targets with precision, and moving with lightning speed to get what they want. 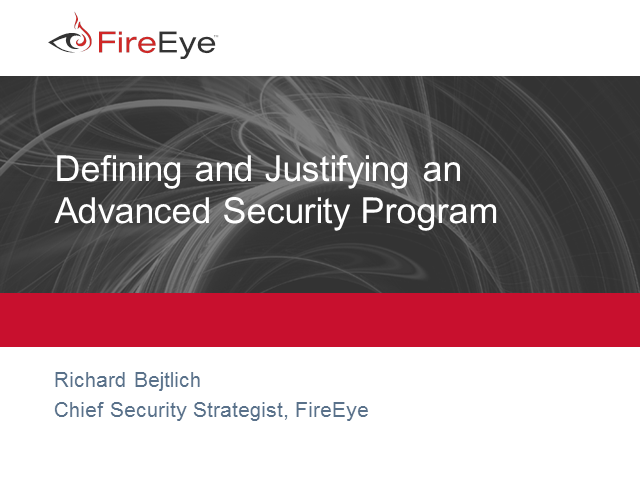 Join us for this webinar with Richard Bejtlich, Chief Security Strategist at FireEye and learn key steps to developing a resilient security program. • Know why your organization is at risk of an attack. • Learn 13 key points to consider when justifying security programs. • Understand how to start thinking strategically about security and the technology you implement.